There’s a moment in Howl, an aesthetically pleasing rumination on the creation and subsequent censorship trial of the infamous poem by Allen Ginsberg, where one of the many expert witnesses called to the stand is asked to explain its meaning. He remarks that you can’t be asked to translate poetry into prose. So it goes for the rest of the movie, where co-directors and co-writers Rob Epstein and Jeffrey Friedman take the poetry of “Howl” and the prose of interviews and court trials surrounding it, and weave a film out of it. Epstein and Friedman have an insistence on historical accuracy from the beginning. The filmmakers go above the call of the common “Based on a true story,” slogan and instead proclaim that all of the dialogue in this film was uttered by the people it’s attributed to. They even go so far as to say that in that sense, it could be read like a documentary. Once you get a glimpse of the finely arranged frames, the shifting color palettes, and the highly-stylized animation sequences, though, you’ll know it’s something else. Howl is most likely to be read as a rumination on censorship and the creative process, but it is more interesting when viewed as a comment on criticism. The poem “Howl,” as this movie successfully shows, divided critics like much of the best art does. Some saw it as a grotesque, shallow piece of garbage while others saw it as a brilliant depiction of the changing social landscape in the late 50s. 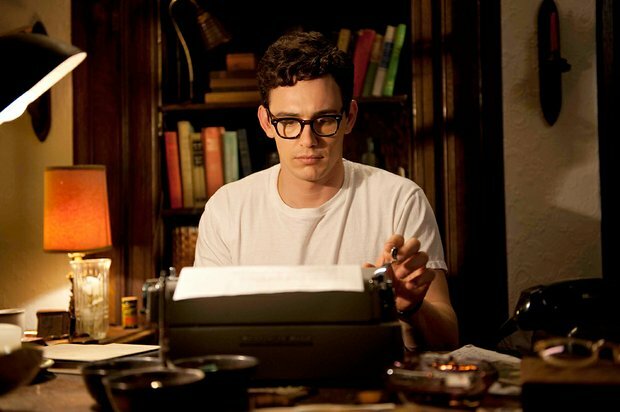 James Franco plays Ginsberg remarkably well given the constraints of the concept. Very little was left up to the imagination in the live-action sequences, but subtle looks and his sly grin give way to actual humanity. He does his English professors proud with impassioned reading of excerpts of the poem. They resonate even if the showy animation sometimes disrupts their power. It was a curious choice by the directors to include so much of “Howl” in the film. Many of the portions read by Ginsberg appear several times throughout the trial, and it sometimes bogs down the otherwise concise narrative. It is the lifeblood that connects the film’s three portions- the trial, the writing, the interview with Ginsberg about it- but it’s such a long poem that you’d think other portions could’ve been used instead of repeated. Howl weaves in and out of those three portions effectively. David Strathairn and Jon Hamm shine in the courtroom scenes, debating about the poem and the artistic merit of its obscene language. Neither of them claim to fully understand it (no sensible reader or critic can), but the admirers of it come to accept this. 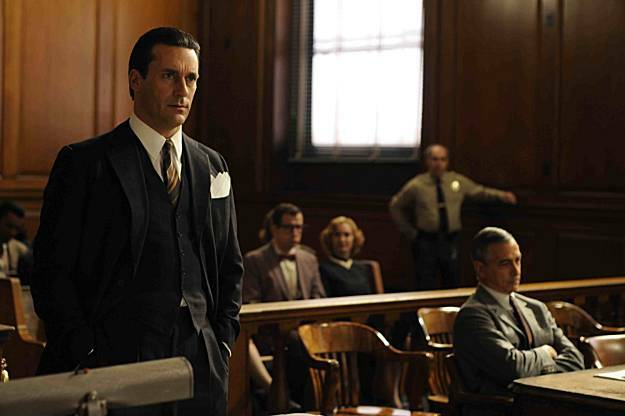 The several expert witnesses all give inspired performances, especially Jeff Daniels. Daniels dons the snooty pretensions of his character in The Squid and the Whale, claiming that “Howl” is dense simply because it borrows its style from Walt Whitman. Epstein and Friedman have a natural eye for visual poetry, no matter who they borrow it from. The heightened colors of the interview with Ginsberg nicely contrast with the black and white of his flashbacks and writing sequences. The courtroom is lit brightly, with each finely varnished wooden surface gleaming. It’s an acceptable visual package, one that uses its various elements to play off one another rather than compete with each other. In that sense, it recalls Todd Haynes’ I’m Not There, a six-actor biopic of Bob Dylan in which Ginsberg actually shows up played by David Cross. That sensibility that a biopic doesn’t have to be straightforward, that its focus doesn’t have to be on an entire life but rather the ideas invested in it, is what makes these films interesting. Howl ends much in the same way as I’m Not There, with the real man showing his face for some music. Howl is clumsy at times and repetitive at others, but it’s also undeniably human, an artistic war cry and an informal howl at convention. This entry was posted in Reviews and tagged Allen Ginsberg, Biopics, Bob Dylan biopic, David Strathairn, Famous poets of the 20th century, Gay/Lesbian movies, Howl, Howl poem, I'm Not There, James Franco, Jeff Daniels, Jeffrey Friedman, Jon Hamm, Poetry, Rob Epstein, The Squid and the Whale, Unique biopics by matterspamer. Bookmark the permalink.